BYD Co. Ltd., one of the world’s largest manufacturers of rechargeable batteries, and energy solutions specialist Fronius announce a strategic partnership for the Australian market. Together both companies aim to offer Australian customers a maximum of efficiency, reliability and flexibility with smart end-to-end solutions for residential energy storage. Combining BYD’s award winning Battery-Box HV for highly efficient modular energy storage with the smart inverter and energy management solutions by Fronius, the partners also provide the first modular solution for residential three-phase backup power supply. Utilities across Australia now require IEC62116 certification for both on and off-grid systems. 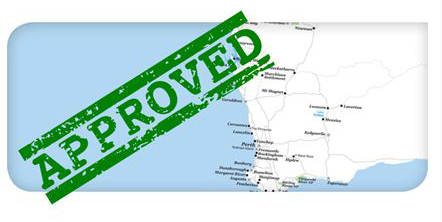 We are pleased to announce that the SP PRO product range has now been approved for WA! This certification applies across the standard SP PRO range, from 3kW to 60kW. To achieve system compliance, please ensure any installed SP PRO has the latest firmware installed (version 11.11 or greater). To place an order, contact us today! WARRANTY OFFER EXTENSION. REGISTER AND GET A “5 PLUS 5“ WARRANTY FOR FREE UNTIL DECEMBER 31, 2018. / Offer valid for all string inverters installed & registered between 01/01/2016 and 31/12/2018. / Offer consists of – an additional 5 years Fronius Warranty on top of the standard 5 years Fronius Warranty Plus. / Under the Fronius Warranty Plus, transport, labour & material costs will be covered by Fronius. / Under the Fronius Warranty, materials required to repair the inverter will be covered by Fronius. 1. Offer valid for the Fronius Symo 3.0 – 20.0 kW, Fronius Galvo 1.5 – 3.0 kW, Fronius Primo 3.0 – 8.2 kW, Fronius Symo Hybrid 3.0 – 5.0kW, Fronius Eco 25.0 – 27.0kW and Fronius IG Plus 2.6 – 12.0 kW. 2. To validate your data, we may ask you to provide your promotion certificate (obtained via online registration), purchase invoice, the serial number of the device and your commissioning report (in Australia: COES – Certificate of Electrical Safety). 3. Cost for transport and labour are not included under the Fronius Warranty. 4. End customers must register the inverter on www.solarweb.com. Terms and conditions apply. Promotion valid for Australia and New Zealand.